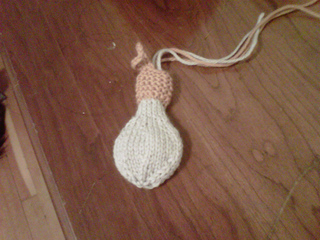 This project uses scraps of double knitting yarn. 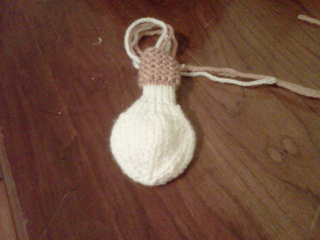 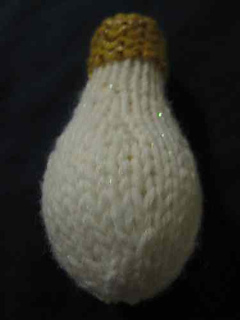 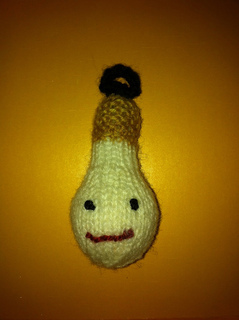 Thicker yarn and bigger needles will produce a bigger lightbulb. 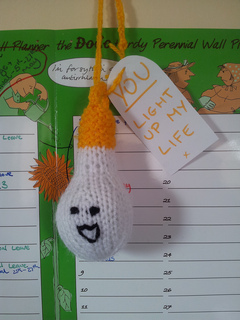 A great novelty idea, bring a smile to the face of someone who brightens up your day.